Technical documentation, online help and manuals are increasingly distributed as HTML on CD or DVD, or installed locally together with the software. The HTML-based "WebHelp" generated by modern documentation tools like Help+Manual, RoboHelp and Doc-to-Help comes with powerful navigation, search and other features and displays in standard web browsers, making it very user-friendly and accessible. Help+Manual 2 Go is the solution for local WebHelp! Help+Manual 2 Go is a mini web server that solves this problem: It consists of a single 1.7MB file that contains everything needed to serve a complete WebHelp system to the local browser - even when opened from optical media. The browser sees a normal web server and behaves accordingly, opening the WebHelp with full functionality. You just need to store the HM2GO.EXE file on the CD or install it along with your software and start it together with the WebHelp documentation. Users then get all the benefits of full-featured interactive WebHelp locally in their standard browsers, instead of laboriously searching through PDF files or putting up with the creaky and ancient interface of the HTML Help CHM viewer. Featuring intelligent caching, the mini server is just as fast, or even faster, than loading the HTML files directly from the hard disk or CD. Help+Manual 2 Go runs on all versions of Windows from Windows 2000 and higher and is available as a completely free download. The license expressly permits distribution as long as no charge is made, also with commercial software. Help+Manual 2 Go is free for private and commercial use. You are allowed to use and redistribute the application royalty-free with your own Webhelp content. Help+Manual 2 Go does not require installation on the target system, either. It just runs, even from CD. 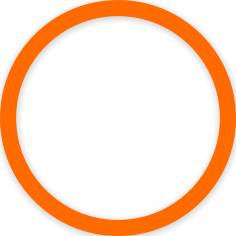 Simply download, install and copy the HM2GO.EXE executable. Help+Manual 2 go is included in Help+Manual. 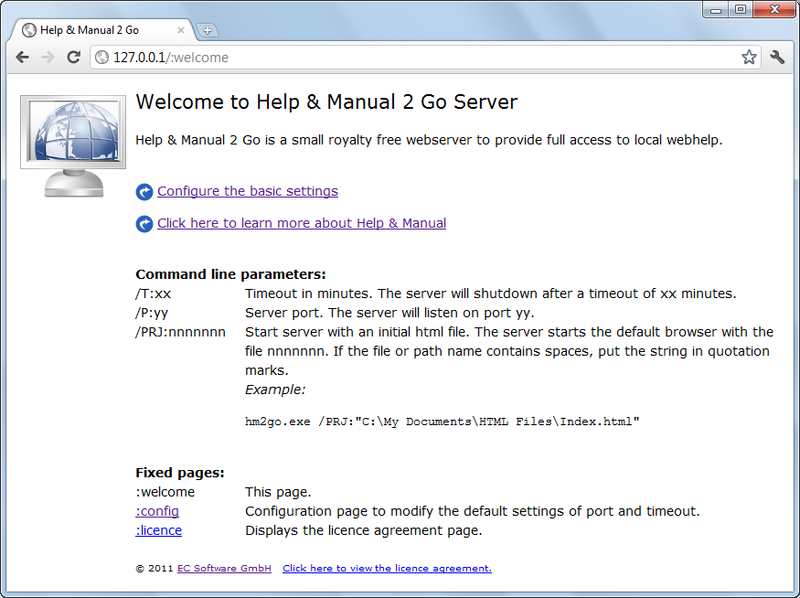 If you download Help+Manual, it installs Help+Manual 2 Go for internal Webhelp testing. Copyright (©) 2015 EC Software GmbH. All rights reserved. Except where otherwise noted, all of the documentation and software included in the Help+Manual 2 Go Setup package is copyrighted by EC Software GmbH. 1. All redistributions in binary form must retain all copyright notices and web site addresses that are currently in place (for example, in the About screen). 2. The origin of this software must not be misrepresented; you must not claim that you wrote the original software. If you use this software to distribute a product, an acknowledgment in the product documentation would be appreciated but is not required.